The transaction underpins Novartis’s strategy of achieving sustainable and profitable growth in the US in the long term. 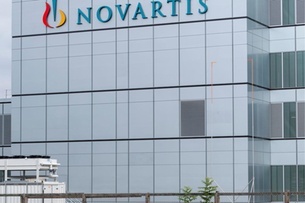 Swiss pharmaceutical company Novartis announced the divestment of its dermatology and generic tablet portfolios of Sandoz US to India’s Aurobindo Pharma for a $900 million (CHF870 million) cash payment. A possible performance-related payment of $100 million could be added to the purchase price, the Swiss AWP financial news agency reported. The divested business generated sales of $600 million in the first half of 2018. It includes approximately 300 products and development projects. A Novartis spokesman refused to comment on whether other parts of the Sandoz portfolio in the United States were still for sale. The production facilities in Wilson, North Carolina, as well as in Hicksville and Melville, New York, will also be transferred to Aurobindo. In this context, approximately 750 employees and the sales force of the dermatology business PharmaDerm will be transferred to the Indian company upon completion of the transaction. Novartis said the transaction is expected to close during 2019. Sandoz will focus instead on complex generics, value-added medicines and biosimilars. The transaction underpins Novartis’s strategy of achieving sustainable and profitable growth in the US in the long term. “With this transaction, we are focusing our business,” Sandoz CEO Richard Francis was quoted as saying. The Sandoz portfolio will remain “strong” even after the transaction, according to the company statement. It includes injectables, respiratory products and ophthalmics.